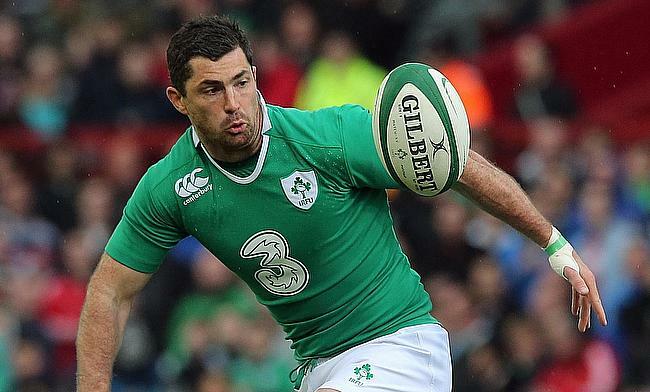 Leinster fullback Rob Kearney has returned back to Ireland's starting line-up for the upcoming Six Nations clash against Scotland to be played at Murrayfield Stadium on Saturday. Kearney last played for Ireland during the November series Test against All Blacks and missed the opening game of the series against England in Dublin with a thigh injury. He takes the place of Robbie Henshaw, who picked up a knock during training and is among the five changes Joe Schmidt has made for the game. Injury to Devin Toner sees Quinn Roux coming into the XV while Sean O'Brien and Jack Conan make a comeback replacing Sean O'Brien and CJ Stander respectively. The final change sees Chris Farrell making his first start in the Six Nations Championship at the expense of injured Garry Ringrose as Ireland aim to get their first win in the tournament. "Robbie Henshaw has a dead leg and just hasn't recovered in time," said Schmidt. "We're just going to have to forge ahead, but it's an exciting opportunity to give Chris Farrell a run against Scotland. "He's coming back to form after a long lay-off."